Visual Studio Code>Other>Unsaved FilesNew to Visual Studio Code? Get it now. 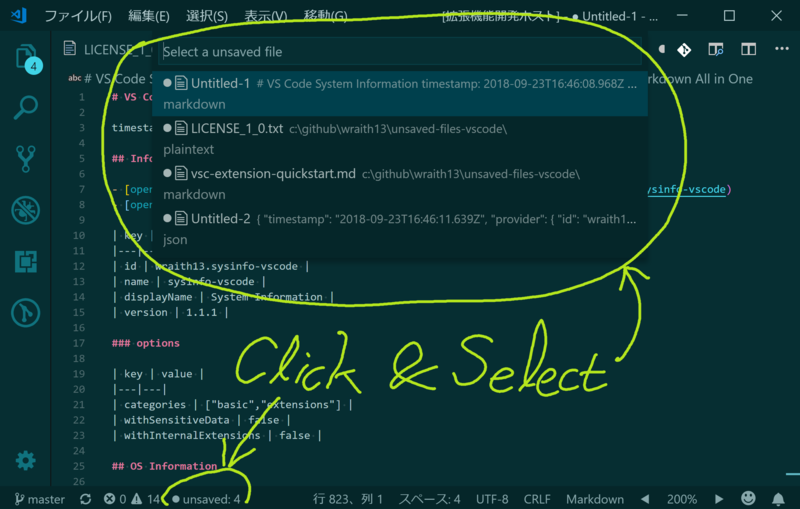 Easy access to unsaved files for vscode. This extension only shows unsaved files, does not save nor close. 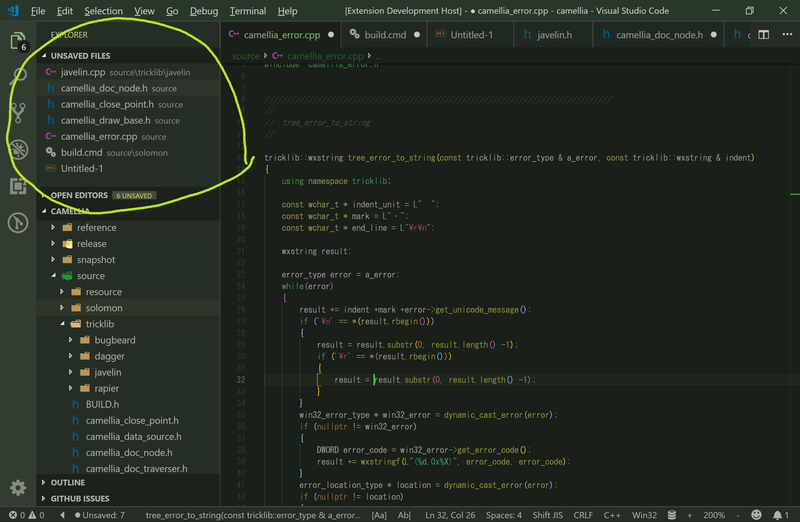 Show extension side bar within VS Code(Mac:Command+Shift+X, Windows and Linux: Ctrl+Shift+X), type unsaved-files-vscode and press Enter and click Install. Restart VS Code when installation is completed. Click unsaved:* in statub bar or launch Command Palette(Mac:F1 or Shift+Command+P, Windows and Linux: F1 or Shift+Ctrl+P), Execute Unsaved Files: Show command and select a unsaved file as you like. You can change settings by settings.json. My text $(icon-name) contains icons like $(icon'name) this one. Where the icon-name is taken from the octicon icon set, e.g. light-bulb, thumbsup, zap etc. You can specify unicode characters ( include emoji ) as label text too. In default, Unsaved Files's commands doesn't apply keyboard shortcuts. Althogh, you can apply keyboard shortcuts by keybindings.json ( Mac: Code -> Preferences -> Keyboard Shortcuts, Windows / Linux: File -> Preferences -> Keyboard Shortcuts).